Father. Writer. Strategist. Litigator. Analyzer. Sportsfan. 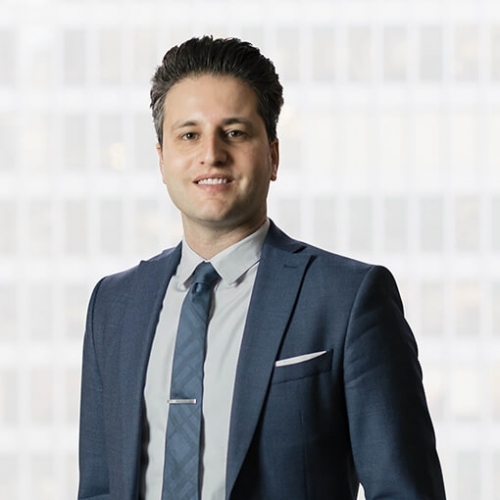 Alon articled with the firm and returned as an associate after his call to the bar in June 2012. Alon has a broad civil litigation practice focusing primarily on insurance defence matters in the areas of motor vehicle negligence, product liability, and occupiers’ liability. Alon also has particular expertise in handling insurance coverage disputes, first-party statutory accident benefits claims, priority disputes, and loss transfer disputes. Alon obtained his law degree from the University of Western Ontario. He also obtained an Honours Bachelor of Arts with a double major in history and political science from York University. Feel free to get in touch with Alon at 647.288.8776 or alon.barda@rogerspartners.com.